In 2012, the primary caregivers of Callie Joe and Sky-Madison were incarcerated for child abuse and neglect. Callie was hospitalized with a severe brain and skull injury which left her with cerebral palsy. Their dad had been a part-time, weekend father for the past few years. Eric, at 40-years-old who had his own issues with addiction, had to become a full time father. The girls, ages four and seven, were in the care of their father. Nearly a year of hospital stays, therapy, court appearances, and rehabilitation left Eric unable to maintain a job, and his substance abuse was still an issue. The family had no electricity or food, and became homeless. Eric, Callie, and Sky were accepted into the Providence House program in 2013. They began a journey of rebuilding their lives. They now had a roof over their heads, meals, clothing, and a stable environment. Eric participated in parenting classes and financial literacy in order to live independently as a single parent family. 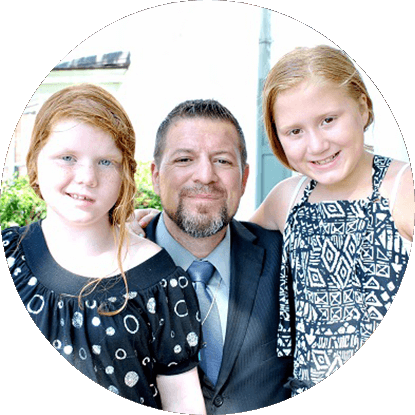 The services Eric and his girls received changed his perspective on life, and after 20 years of abusing substances, he began a life of recovery. In August 2015, the Graham family has a furnished apartment and Eric is employed with a property management company. They are living independently and he is grateful for programs and services that did not give up on him and his family. They showed him the spirit of humility, strength, and serving others. 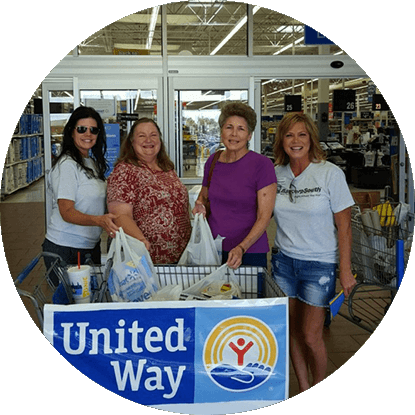 Volunteers spent days working with United Way of Northwest Louisiana, collected school supplies at five area Walmarts and filled backpacks to help children prepare for the school year in 2016. The supply-filled backpacks were distributed to students in kindergarten, elementary school and junior high/high schools, at the Amerigroup Back to School Bash at the Shreveport Boys and Girls Club, the Save our Students event at Southern University, and the Webster Parish School Board Back to School Bash. These events also allowed students to participate in free health screenings and receive free haircuts. Supplies were also provided to the 12 Caddo Transformational schools. In all, your donations helped more than 4,500 children to return to school ready for the New Year. The contents included, but were not limited to, glue, notebook paper, notebooks, crayons, pens, pencils, erasers, folders, and binders. “It costs an average of $600 to send a child back to school with basic supplies. 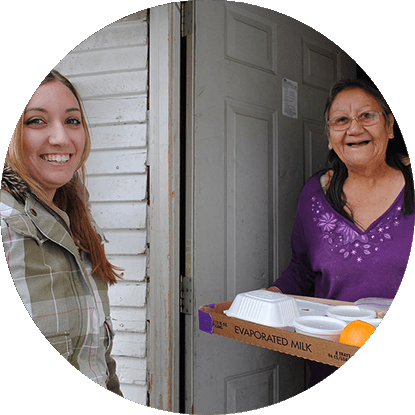 For families who are in great need, this amount is unfeasible. Each year the need increases and because of your donations more families are prepared for the school year ahead,” said Bruce Willson, United Way of Northwest Louisiana President and CEO.